ROBERT MATANDIROTYA (22) shows intense attentiveness as he bends on one knee and looks frowningly at the curved metal in front of him. He has been fabricating the shape for hours now, but it is not yet perfect. 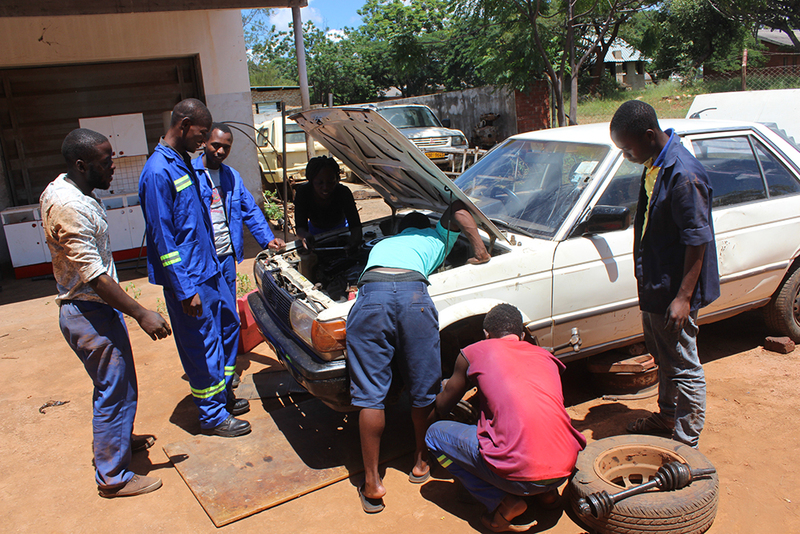 To the average person, the young man in blue overalls could pass as just another ‘failure’, a common reference to people pursuing vocational skills in Zimbabwe. They are sometimes labelled ‘academic dwarfs’ because the common thinking is they could not make the grade in formal classes to secure a white-collar job. 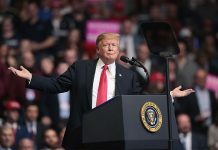 For years, people have believed that a university degree provided the only safe path to achieving middle-class security and a stable career while the nation’s high schools have been structured to fit the idea that all young people could, and should, go to university. Matandirotya tells a different story. He has been at the Chaminuka Vocational Training Centre in Mt Darwin for a year now and is left with eight more months to hone his skills. CHAMTEC principal Alois Musariri says the training institute registers 1 088 students in different competencies every year. 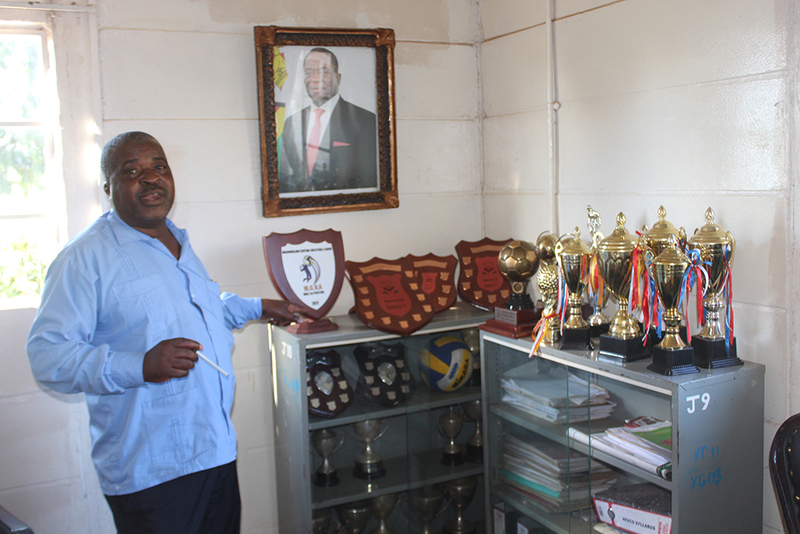 Alois Musariri, principal at the training institute, said the school registers 1 088 students in different competencies every year. 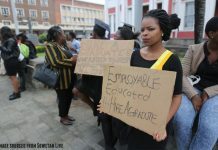 Although the country’s universities churn out thousands of graduates annually, there is definitely a shortage of ‘people trained for work’ to fill in jobs that will arise ahead of impending industrialisation. Many African countries still experience a discord between their institutions of higher learning and what the skills industry needs. This gap has been bridged by technical and vocational training centres dotted across the country. Education and training for production is an important tool for economic growth and development. Technical and vocational training centres focus on skills that are on demand, and either provide employment opportunities directly or provide significant support for learners entering the job market. However, most of these are now in a derelict state due to underfunding, plain negligence and deliberate lack of will on the part of Government to encourage vocational training. Remaining efficient centres, such as CHAMTEC (Chaminuka Training Centre as it’s popularly known), have now broken with colonial tradition. The pre-independence system of education and training in Zimbabwe was deliberately based on discrimination and unequal accessibility along racial lines. Children of the minority white, Asian and mixed-race communities enjoyed compulsory free and comprehensive education that prepared them to assume a more privileged position in their adult working life, whereas much of the education for African children was intended to facilitate conversion to Christianity and to equip them with the basic skills necessary for cheap labour. This system led to an unequal distribution of skills among racial divides. According to a National Manpower Survey carried out in 1981 to determine the quantity and quality of Zimbabwe’s manpower, the skills distribution at independence was that whites, Asian and people of mixed race dominated the professional and skilled categories, while Africans dominated the semi-skilled and unskilled employment categories. Immediately after gaining independence on April 18 1980, the Government embarked on a programme to establish a network of youth centres throughout the country. These were residential work training programmes focusing chiefly on rural youths and employment in rural areas. They were organised primarily for the unschooled youth to satisfy trade skills that were needed in their localities. Building and construction students going through practicals at CHAMTEC recently. These training institutions were basically used to train and equip youths with practical skills which enabled them to effectively participate in rural development programmes such as co-operatives of various types and other self-reliant projects. There was a wide range of skills taught, which included agriculture, building, home economics, weaving and typing. 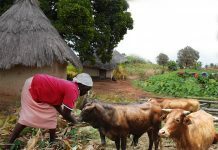 The training programmes taken on these farms which later turned into training centres were hands-on so that trainees could also increase production as part and parcel of their training (education with production). After opening its doors on December 4 1983, CHAMTEC has grown in leaps and bounds to become a centre of choice for many youths. The centre was opened with a mandate of rehabilitating Zimbabwe’s ex-combatants and youths who had been deprived of their right to education during the colonial era. By 1987, it had become a trade testing institution. The vocational training centre has become the country’s centre of excellence in skills training. This is exhibited by students coming all the way from Bulawayo, Binga, Masvingo, Mutare and Gwanda, to mention but a few. The centre runs 16 national certificate and diploma programmes. Chaminuka is one of the 43 vocational training centres around the country under the administration of the Ministry of Youth Indigenisation and Economic Empowerment. The vocational training mandate was pivoted on giving second chance education to less advantaged youths in society who had not achieved the ‘O’-Level threshold of five subjects to garner employment or further their education. The thrust of Vocational education is Training for Enterprise (TFE). Vocational education enrolment has since improved as evidenced by the increasing number of students graduating every year. 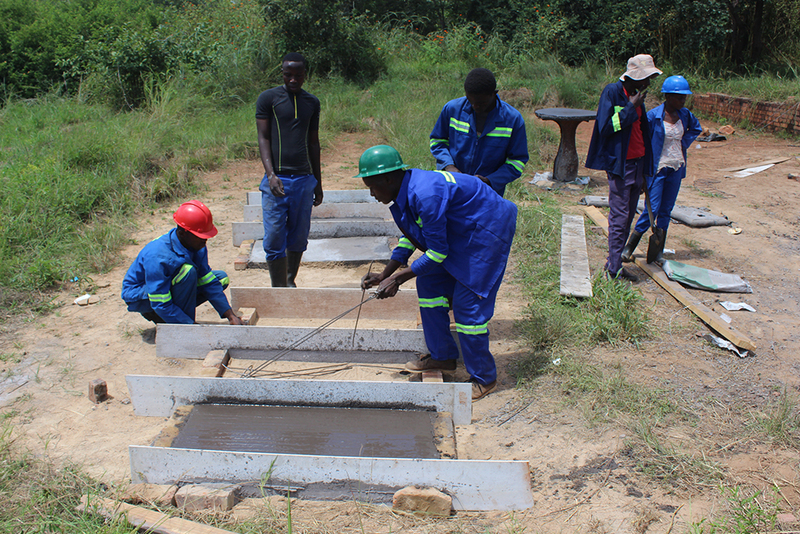 “The aim of this initiative is to develop an entrepreneurial culture among the youth through skills and business management training in order to improve their employability,” said Tawona Machipisa, head of department Carpentry and Joinery. “To date, the centres have churned out thousands of graduates, some of whom have been absorbed into the formal and informal sector. CHAMTEC has since established partnerships with the business community and institutions of higher learning such as the Midlands State University and the Bindura University of Science Education. The business community has also shown its support through the provision of on-the-job-learning as students get attached to the various enterprises. To effectively and professionally execute its vision of being the leading player in human capital development, the centre has partnered other organisation and stakeholders. The centre is a beneficiary of the successful British American Tobacco Zimbabwe Tobacco Empowerment Trust which has renovated lecture rooms and student hostels. “The Trust has contributed to the installation of an irrigation system, constructed five tobacco rocket barns and bought agriculture-related library books,” he said. The Trust is also supporting 133 students training in tobacco-related programmes with safety clothing and payment of 50 percent fees. It has also supported the planting of 10ha of tobacco. The centre also planted over 250ha of maize with an expected yield of 10t/ha. 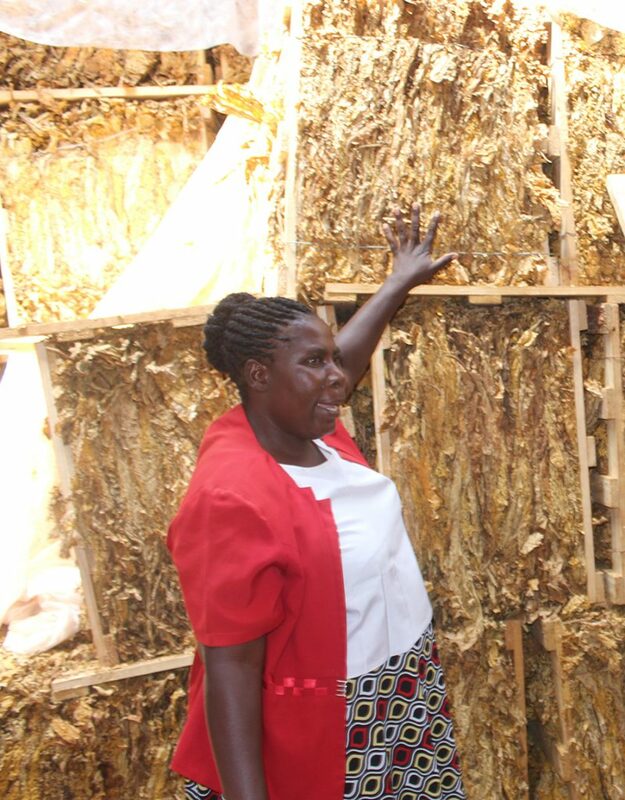 “From the proceeds of the programme, the centre is going to retain some of the maize for students and livestock consumption,” said CHAMTEC farm manager, Patience Denga. Denga expects to deliver 500 tonnes of the yield to the Grain Marketing Board (GMB) as contribution towards Zimbabwe’s food security. On livestock production, the institution has a herd of over 80 cattle, 40 pigs and thousands of road runners. Carswell Montana has been instrumental in improving the cattle head by constructing modern cattle herding facilities. The training reaches out to the nearby communal areas, schools, clinics, hospital and Mashonaland Central Province. When The Patriot visited the school, the Metal Fabrication as well as Brick and Block Laying departments were busy at work setting up a recreational centre in Concession. The students have built a community clinic in Mupfure, Nyamaruru School and the training centre’s dining hall, hostels and water tanks. According to UNESCO, the enrolment of Africans in vocational and technical training at the secondary school level is under five percent; this, despite of the fact the African Union (AU) made vocational and technical training one of its priority education focus areas between 2006 and 2015. To keep up the tempo of technical change and the changes in global value chains, the principal said Government needs to invest across the entire system that builds workforce skills. The newly-introduced curriculum in schools is emphasising on the importance of practical subjects for self-sustenance, hence the need to also emphasise it at a higher level for the purpose of continuity and development. In the long-run, skills development is transformational for both social and economic growth. “Skills development not only helps countries and workers overcome the impact of the great recession, but also prepares them to face the long-term game-changing trends that are hitting the labour markets around the world,” said Musariri. Much national attention and concern is being generated over the issue of youth unemployment. With a high unemployment rate, it’s appropriate for Government to equip the VTCs and encourage unemployed youths, both the degreed and the school dropouts, to equip themselves with necessary practical skills for a productive life and to promote a transformative and sustained economic growth. Next articleNo to Afrophobic attacks!